One of the most highly rated young players in the game today, Alvaro Morata, has signed for Chelsea FC from Real Madrid for a reported fee of £58m. This is, at the time of writing, the second largest transfer of the 2017/18 summer transfer season, behind Romelu Lukaku's move from Everton to Manchester United. The Spanish international is making a move from Real Madrid, where he struggled for minutes, being the 2nd choice striker behind Karim Benzema. Morata had a 2-year loan spell at Juventus, where he impressed, before returning to Madrid a year ago. Alvaro Morata is a sizable 'number nine', quick on his feet and good in the air. Last season he scored 15 goals for Real Madrid and had the highest conversion rate of all La Liga strikers who scored more than 10 goals. 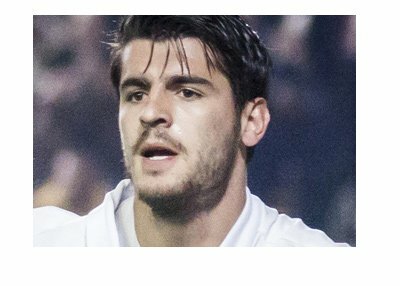 Morata had 55 shots on target total. The critics would argue that Morata was able to score his goals after coming into the game in second half, when he was able to take advantage of tired defenders. The truth is that Morata can score early if he starts the game and is able to net big goals in important matches too, as he has proved in the past against teams such as Barcelona, Borussia and Atletico. This seems to be a very good match for Chelsea FC, who are letting go of their star striker Diego Costa, who is preparing for a likely return to Atletico Madrid. The new football season is upon us and the transfer season is buzzing with activity at the moment. Who will be the next big marquee signing? The transfer deadline is August 31st.